On this episode of You Have a Cool Job, meet Rod Hoffmann, a toy designer and owner of Big Eye Studio. Rod gives us a glimpse into the toy design industry, and what designing toys for big companies like Disney and Marvel is like. He shares how the business is changing and moving towards selling directly to consumers, rather than to distributors. Rod tells us where he sees the industry in coming years and where he is taking his business. He also talks about what keeps him inspired to keep creating, and how young designers can get into the industry. Subscribe to You Have a Cool Job on Apple Podcasts here or on Soundcloud here. You can also find us on Stitcher, Google Play, and TuneIn. Learn more about Rod’s work here. Toys from Rod Hoffman’s portfolio. HOST SHOW INTRO: Welcome to the show! From Peterson’s, I’m Taylor Sienkiewicz, and you’re listening to You Have a Cool Job, a podcast highlighting those who took their profession in a unique direction, and what they did to get there. HOST INTRO: On today’s episode of You Have a Cool Job, we talk with Rod Hoffmann. If you’ve ever wondered who designs toys like Mickey Mouse, Barbie dolls, and Legos, it’s somebody like Rod. Rod is a toy designer and owner of Big Eye Studio. HOST (LIVE): Well Rod, first do you want to just explain for people that are unfamiliar with the toy design industry because it is so small like you said, I get the sense that a lot of people think of toy design as like Santa’s workshop, so how would you describe what it’s like to work in that world? ROD HOFFMANN: Well it is a little like Santa’s workshop, it’s fun! Except really what we do as toy designers as opposed to say a toy inventor, there’s a slight difference and I think it needs to be discussed. An inventor really just kind of comes up with an idea and their premise is to generally go off and sell that idea to a toy company that will then pay them royalty and they sort of walk away from it. HOST: Rod is essentially the next step after this initial invention, and turns these ideas into something real. ROD HOFFMANN: What we do as toy designers mostly is that comes to us from could be a toy startup company, could be a toy company itself, and they will give us the parameters of the project and then we actually literally design the product and we are industrial designers so we typically will do the outlook design is what we call it, which is basically how it looks and how much it’s going to perform. So if we were designing a toy car for example, this is on paper this is what it’s going to look like, it’s going to have this that turns doors open and so on and so on. Then the next problem that we focus in on is how to make it happen and that becomes a little bit of a mix of design and engineering and we typically shy away from the actual physical engineering but as a toy designer we get heavily involved in it and direct it so we’re hands-on. Next step that I will do and that most of what the other independents do as well is we also follow the product all the way to production. 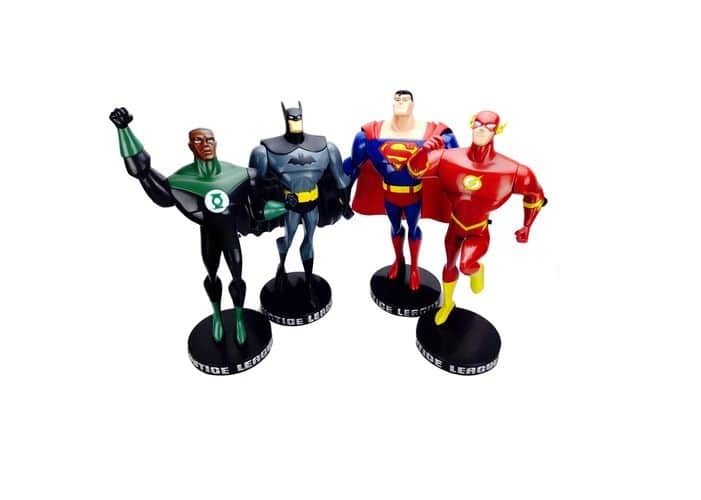 So we will typically work with the mold makers, typically work with the toy manufacturers, most of them being in China, and we work with them to make sure that our idea and the things that our customer has approved actually hit the shelf. HOST: But Rod’s job doesn’t end at just the production of the toy. He is also involved in the marketing of the toy. ROD HOFFMANN: We will typically also design the package, design the artwork, design the logos for the brand sometimes, it really comes down to what the customers want and how much they want to do and what they have available to them as resources. So that’s really it in a nutshell, I like to say we take ideas and make them happen. HOST: And then you own the Big Eye Studio, correct? ROD HOFFMANN: Yes I do. HOST: So you’re both a toy designer and a business owner, how do these two things coexist for you, and then just how do you run your business? ROD HOFFMANN: Yeah it’s a right brain, left brain sort of thing isn’t it. It’s always been a challenge. I have been an independent designer for many, many years and it is difficult. There’s no two ways about it. Luckily I’ve been in the business long enough that my name sort of, my reputation precedes me and therefore I don’t have to be on the phone hunting clients everyday, and I like to keep my business small. I have one large studio, I had a big studio in Atlanta, we eventually sold out and went to work for one of our clients, and that company hit about $180 million and I left there and went back out on my own. So, I’ve learned a lot but business is part of what we do. Even as a toy designer you have to remember that you can make it in your head and you can draw it on a piece of paper, but if it costs more to make than the consumer is willing to pay for it then you’ve really shot yourself in the foot. And that’s really when the rubber meets the road for us toy designers is designing products based on our long term mileage of what works, what doesn’t, what costs what. Because if a person comes to me and says I’m going to make a 12 inch articulated action figure. Well I know what it take to make that as I’ve made plenty of them. Whereas a younger designer may not have the slightest idea what it’s going to cost and so they may go about it and design an action figure that’s got all the buzzers and bells that they wanted in an action figure and then it actually ends up costing three times what it should and therefore the retail price is way higher. So it does involved a little business we do need to understand the trends we need to understand what consumers are willing to pay and what they’re not willing to pay. HOST: Right. One other thing that stuck out to me when I was looking into your company was that you have those huge companies that are willing to pay a lot potentially, like Disney and Marvel, so how did you first tap into those distribution markets and then how is it to work with such large companies as a small company. ROD HOFFMANN: Well I’ve worked with them in many ways in different points over the years. A lot of the items to which we do are literally licensed, which means that, here’s an example, a few of the Disney items that we show online, those are actually created for Fusion Toys which is an American company and what they do as a company is they obtain license from Disney to manufacture toys under their name. Now because I’m a Disney approved designer, that allows me to cut to the chase design the toy and packaging based on Disney’s pre-requisites and their style guide and produce a toy that meets the Disney standards. Therefore, I just give the design but we are in contact with Disney and their approval process and things like that all the time. HOST: In addition to these well-known toy distributors, Rod also works with brands big and small, all across the board. ROD HOFFMANN: I deal with many, many licensing companies from Ford and Chevy, GM, to little companies you’ve never even heard of all the way to national rodeo people! It’s crazy and that’s one thing that I think people are misconstrued is that Disney does not make toys. Toy companies make toys and Disney allows them to, and that’s probably the best way to explain it. HOST: Rod mentioned a couple of misconceptions people have about the industry, so I wanted to know how this plays into his personal life. HOST (LIVE): Rod, what are then, because you say people have a lot of different assumptions about it, when you tell friends or family or just people outside of your industry what you do, what are some common reactions that you get? ROD HOFFMANN: (laughs) Well the funniest reaction I usually get from people, I’ve got to be just a little comical, I tell people I’m a toy designer, and they look at me and go, well ‘what kind of toys’? I mean there’s only two kinds of toys that I know of, there’s adult toys and children’s toys and that’s it. And then the second question that they ask is ‘what have you done that I’ve seen’? And, you know, of course you can see my design in Disney and Action and Marvel figures, and over the years I’ve done things with Taco Bell and the little things that you get in your Happy Meals and things like that and people will recognize those and they think that’s really cool. HOST: Children’s toys are a pretty common part of life, but the toy design industry is fairly small. Rod explained why it’s now shrinking. ROD HOFFMANN: It is political, the tariffs involve some of it, but primarily the shift in retail purchasing and the buyers, a lot of items are being purchased online. A lot of the mass retail, which would be the Walmarts and Targets, they’re shrinking too. And there’s only a handful of large retailers and a handful of large toy companies. HOST: However, Rod is picking up on these changes in the industry and predicts the future of toy designing. ROD HOFFMANN: The trend right now, and it’s primarily the bulk of customers and who I focus on, are smaller companies. Some of these companies are run out of people’s basements for example, but they’re making more money than the larger clients that I have because what the trend has been is what’s called, manufacturer to consumer, M to C is what they’ve coined it as, and that means that instead of manufacturing a toy, and then going through a distributor or sales rep or even a retailer to get to the customer, they’re now selling directly to the customer. 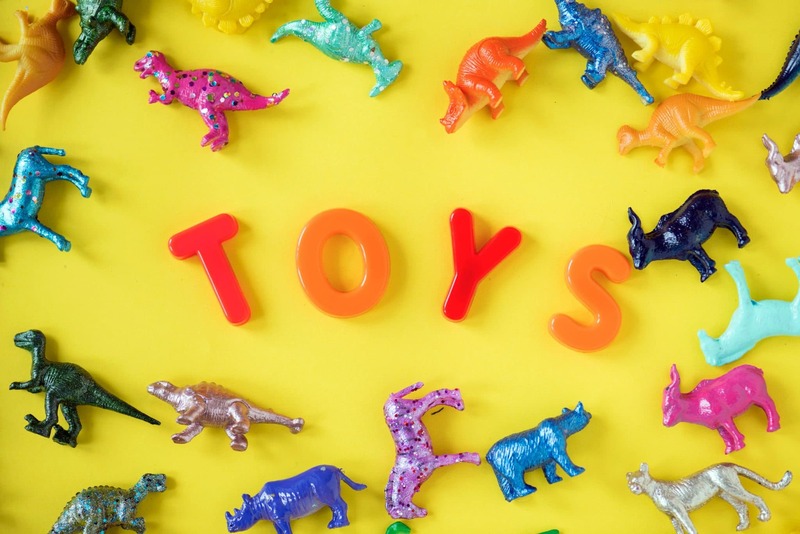 You can witness this on Ali Babba, Etsy, and Amazon, and Ebay, and places like that but one of the other big trends happens to be Kickstarter and things like that so what happens is that’s where the toy industry is headed. HOST: These changing trends are what is putting large retailers like Toys R Us out of business. Rod shares what the new direction for himself and other toy designers may be going forward. ROD HOFFMANN: It’s very vibrant to me. That’s been my mantra forever. Instead of the toy costing, this is typical it’s called keystoning, and let’s say something costs $2 to manufacture and then we sell it to a retailer let’s say Walmart, and they pay me $4 and then Walmart sells it for $8. Well, now the factories are saying why should I sell it to Walmart who’s going to give me all these restraints and then probably not sell my product very well, or I can sell directly online and charge the customer $4, or even $3 and still make as much money as I did before. So that’s really changing the industry dramatically. And that’s what’s driving Amazon, it’s this ability to bypass the brick and mortar stores and that is what’s making the pool smaller but at the same time it’s making people like me busier. I have a lot more clients that go a lot faster, we’re going to the market a lot faster than two year development and it’s wonderful. I think it’s one of the greatest things to hit this business. So, it’s shrinking but I think as this grows it’s going to explode. HOST: Right, and with that being said, where do you see your company going? ROD HOFFMANN: I’m focusing on that. I am focusing completely, I’ve moved away from thinking Marvel and Disney, primarily because that’s not really where my bread and butter is anymore. My bread and butter is with the smaller guy. I’m dealing directly with the owner. I’m dealing directly with the staff that starts it. It’s vibrant. These are millennials doing this. It’s exhilarating for someone at my age with as much knowledge as I have to have the same feeling I did when I was 20. So that’s where we’re headed, we’re headed directly to dealing with people who are wanting to develop a product and I can show you how to manufacture it on the cheap and sell it. You know as well as I do the shifting consumer market is immense. HOST: Rod explains that this transition, is actually a return to the industry’s roots in some ways. ROD HOFFMANN: Now think there used to be a time that a person sat in his little workshop and he made a bunch of toys by hand and he sold them locally and he was called the toymaker or something. Well, we’re getting back to that. So now we have a person who sits in his house or his little shop and he comes up with ideas and they sell them globally, and they can sell them in small quantities. It used to be you had to make 20, 30, 40,000 on the first run. With 3D printing and some of the other technologies out there, we can create 10 or 100 and if you like them you buy them and then we go to mass production. HOST: Rod said that his company is utilizing 3D printing more and more as well. Now, for the question of, how do you become a toy designer. While Rod has many years of experience in the field, I wanted to know how he got into the industry in the first place. ROD HOFFMANN: Here’s how I tell people. When I was a little kid, I was the one who took his toys apart, I wanted to know what was inside them how do they work, and I also grew up up north in an industrial world. So I was very familiar with manufacturing and how things happen. So I went on to art school and I worked in various industries along the way, and I wanted to be in advertising. So I started out in the advertising industry in the early 80s when I graduated in some of the biggest advertising industries on the planet. That was in Atlanta and that’s where I learned advertising but I didn’t really care for it too much so I branched out and was starting to focus on brand identity and things like that and I had a little studio, we had customers like Coca-Cola and Ciba Gygi and Georgia Pacific, pretty typical corporate graphic design studio stuff. Well, that was fun, but then, I’m a motorsports person, so I got involved in designing motorsports cars and packages and graphics and so on for those same customers, well that got noticed and I ran into a client that also became my boss eventually, but they were in the toy industry and they primarily made trading cards. I went on, it was about six people in the company, I tripled their staff, I brought my people with them, we were $180 million trading card company. And things happened at the top, the CEO died and the company kind of fell apart, and I left. I went back out on my own and focused solely on toys. So I don’t have the typical toy designer background. I come from a designer’s background and am a person who is self-taught in industrial design. HOST: If you decide you want to go to school to be a toy designer, the most common degree to earn for this career is in industrial design. However, Rod’s degree was in graphic design and he made his way to toy designing later on. Rod shares his advice for aspiring designers. ROD HOFFMANN: That’s really ultimately what I would focus on for new designers or anybody wanting to get into the business is be creative, that is the first thing that you have to be, and have fun. HOST: As for final thoughts, Rod explained what being a toy designer means to him. ROD HOFFMANN: It’s art to me, you know. I mean artists never stop creating and I see it as art. It’s an expression of love, it’s an expression of empathy, it’s pouring out something that somebody else can touch, see, and play with. That’s how I see it. It is valuable. Kids love toys, adults love toys, and it gives people a chance to smile. HOST: You may have always wondered who the craftsman behind your favorite toys is, and now you’ve met him and are maybe even inspired to dive into the field yourself. Thanks for tuning in, we’ll see you next week.